The root of the curcuma longa plant, known as turmeric, is a staple in Eastern and Asian cuisines. Turmeric is part of the ginger family. Its appearance, similar to ginger, has the familiar perpendicular roots and shoots that grow against the force of gravity, known as rhizomes. Today, turmeric is most widely recognized as a spice, but it is a plant that, for centuries, has been used for its healing and wellness benefits in the practice of Ayurvedic medicine. The heart of turmeric is curcumin, a powerful, antioxidant-rich polyphenol. Studies suggest that curcumin has the potential to treat and prevent a wide range of diseases, including providing relief of mild-to-severe skin conditions, such as psoriasis, acne, and eczema. Turmeric is often available in powder form. It is dark yellow and mustard-like in color, with a sharp, signature scent. It is high in curcuminoids, which are responsible for the color of the spice. Turmeric is gaining momentum in the skin care industry for its broad benefits. It nourishes the skin and body with an extensive composition of flavonoids, polyphenols, magnesium, iron, and omegas-3 and -6 essential fatty acids. Turmeric is abundant with antioxidants. Antioxidants are important because they neutralize free radicals that damage cellular structure. 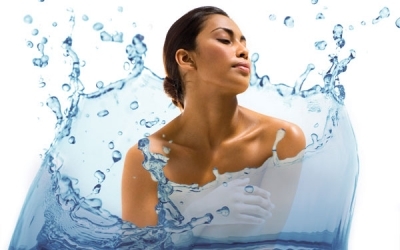 Free radicals accelerate aging and are a risk to overall health. The increase of free radicals occurs because of many reasons including toxins, diet, stress, and ultraviolet exposure. In a 2009 clinical study performed by researchers Maho Sumiyoshi and Yoshiyuki Kimura, evidence revealed that the use of turmeric protects skin from UVB damage, maintains skin elasticity, and prevents accelerated aging. Magnesium and iron in turmeric are two minerals that boost immunity and cell renewal. Magnesium has calming characteristics that alleviate skin irritation and redness common in sensitive, rosacea, or acneic skin. Iron helps carry oxygen throughout the skin and body. It enhances the quality and efficiency of cell regeneration, slows skin aging, and promotes a glowing, even-toned complexion. There are different stages and causes of acne, but ultimately bacterial skin infections are a mutual factor. The swelling and redness associated with acne is evidence of proliferating bacteria. Curcumin in turmeric has bacteriostatic traits, meaning it stops bacteria from growing and spreading, and it has antimicrobial characteristics. 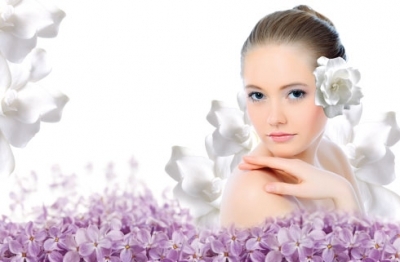 The bacteria, propionibacterium acnes (P. acnes), sits and breeds on the surface of typically oily skin. Acne-prone skin is susceptible to breakouts and inflammation because of P. acnes that easily penetrates the epidermis and reaches the pores. Turmeric has P. acnes-destroying abilities and it helps control excessive skin oiliness. It addresses and soothes inflammatory symptoms and attacks the culprit bacteria causing the infection, offering an ideal holistic remedy. For decades, there has been research examining the efficacy of turmeric on inflammatory conditions. The primary element of turmeric that reduces inflammation is curcumin. According to The Journal of Alternative and Complimentary Medicine, curcumin inhibits inflammation-triggering molecules like prostaglandins, phospholipase, lipoxygenase, and collagenase. Psoriasis is a skin disease that causes redness, itching, and a buildup of dead skin cells which cause a scale-like appearance. Although there is no cure for psoriasis, moderating inflammation can significantly minimize symptoms. Atopic dermatitis, also known as eczema and unbiased to all ages, can develop over time or appear suddenly and is identified by dry, swollen, and itchy patches of skin. The inflammation-reducing capacity of curcumin, combined with soothing and nourishing magnesium and omega-3, proves turmeric to be a natural, herbal solution. Turmeric is multifunctional. It relieves discomfort caused by inflammation, facilitates healing, improves circulation and the flow of oxygen throughout the cells, and simultaneously prevents worsening of certain skin and health concerns. Turmeric has antibacterial, antiviral, and antimicrobial qualities. Most importantly, it restricts the growth of potentially dangerous, cancer-causing cells from proliferating in the body. The antioxidants and cell-protecting curcumin and omegas in turmeric enables skin wounds to heal faster with minimized scarring. 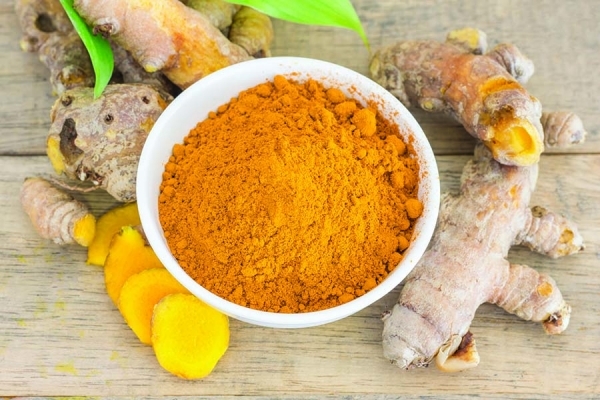 Turmeric is an ingredient that continues to gain attention and popularity among skin care professionals and the beauty industry for its healing abilities. Cooking with turmeric supports a healthy lifestyle and a nutritionally-balanced diet, and implementing it proactively into skin care encourages skin wellness. Journal of Dermatology, Venereology, and Leprology. (2018 Jan-Feb) 84(1): 16-21.
of Clinical Therapeutic. (2009 Jun) 14(2): 141-53.
effects of paracetamol in an experimental mouse model of fibromyalgia. Victoria Tabak, published beauty expert, two-state licensed aesthetician, spa consultant, educator, and president of Nature Pure Labs, has more than 19 years of experience in the beauty industry, along with a master’s degree in business and a minor in chemistry. Throughout her career, she has shared her love and passion for skin wellness and making a difference in people’s lives. She has inspired many, supported women in business like herself, and influenced the growth and success of spa owners across the country.